Here are the latest allergy-friendly deals at Amazon. Don’t forget to use your free Swagbucks gift cards! Please remember to double check label ingredients for your allergens! When you select subscribe and save you not only get a discount but you also get FREE shipping! If you decide you don’t want to have the item automatically shipped to you, you can cancel at any time. Simply log into Amazon, go to “My Account,” click “manage subscribe and save items” and cancel the subscription. I have been known to sign up for the discount and cancel my subscription the day my order ships. 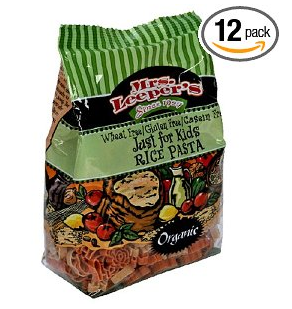 Mrs. Leepers and Eddie’s Pasta are 30% off when you use subscribe and save and coupon code LEEPEDDI at checkout. My kids love their Rice Shapes For Kids which are $2.25 each with subscribe and save and coupon code. 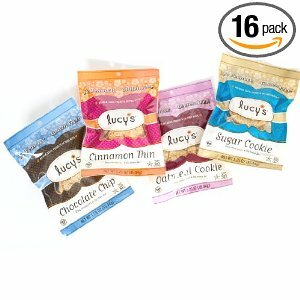 Lucy’s Cookies Grab and Go Variety Case, 1.25-Ounce bags (Pack of 16) , another one of our favorites are just $.93 each when clip the $1 off coupon on the page and use subscribe and save. Note: these contain soy. 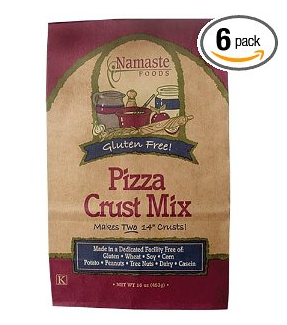 Namaste Foods Gluten Free Mixes are 25% off when you use subscribe and save and coupon code NAMAVOCT at checkout. Their Gluten Free Pizza Crust Mix gets great reviews. You only need to mix with oil and water. The pizza mix is just $3.85 a bag when you use subscribe and save and the coupon code. 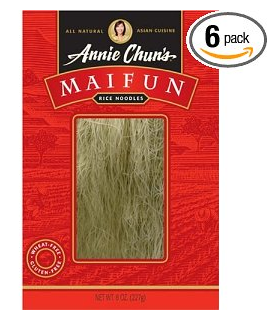 Annie Chun and CJ Food s are 25% off when you use subscribe and save and coupon code ANNIECJ8 at checkout. These rice noodles are $2.15 per package. Dr McDougall’s products are 25% off when you use subscribe and save and coupon code DRMCDOUG at checkout. 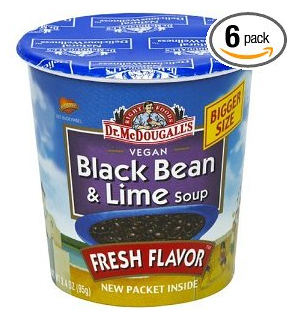 These vegan and gluten-free Black Bean and Lime soups are just $1.19 each and would be great to take to work or school for lunch. Nutiva Products are 25% off when you use subscribe and save and coupon code NUTIVOCT at checkout. 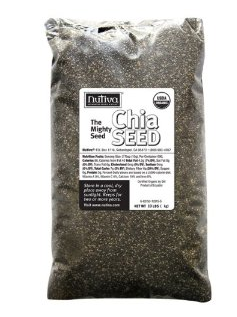 Their 10-pound bag of Chia Seeds is $50.95 or $5.10 per pound. This is an excellent price if you can afford to stock up. You can read about the benefits of chia seeds here, and how I use chia seeds to replace eggs here. 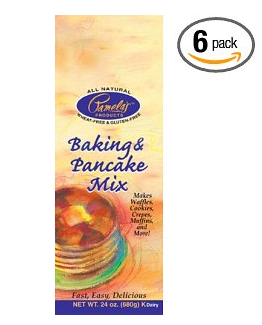 Select Pamela’s Baking Mixes are 25% off when you use subscribe and save and coupon code PAMMIXES at checkout. It’s my understanding you have to add eggs to these. 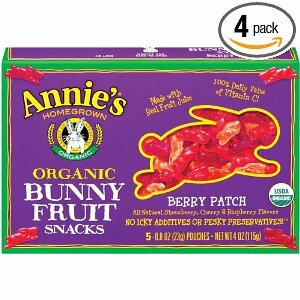 Has anybody had any luck using substitutes with these mixes? Pamela’s Cookies are 30% off when you use subscribe and save and coupon code PAMCOOKI at checkout. Their Chunky Chocolate Chip Cookies are $2.29 per box. Note: these contain non-gmo soy and possibly traces of peanuts, tree nuts, dairy and eggs. 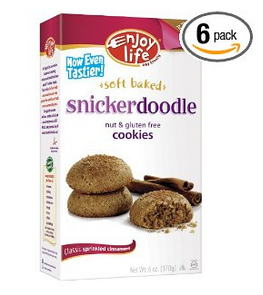 Enjoy Life Soft Baked Snickerdoodle Cookies, 6-Ounce Boxes (Pack of 6) are $12.99 or $2.17 per box in the Amazon Warehouse! Warehouse deals sell out quickly so grab yours while you can. Other varieties are also on sale. The links listed in this post are affiliate links. Thank you for supporting this site. 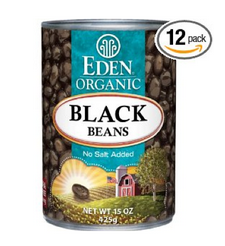 Currently, Eden Organic Black Beans, No Salt Added, 15-Ounce Cans (Pack of 12) are $12.75 through subscribe and save. Update: Coconut Flour $2.34 per Pound! Well, that was quick! The deal I posted this morning is sold out. So I took a look around and found another deal. This one is slightly better at $2.34 per pound! I guess in this case if you snooze, you win! 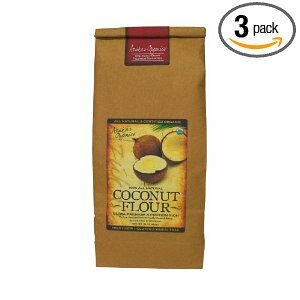 Azukar Organics Natural and Organic Coconut Flour, 32-Ounce Bags (Pack of 3) is $14.01 or $2.34 per pound through subscribe and save. Don’t forget to check out the other Amazon Deals and when you get your coconut flour try these Double Chocolate Chip Scones! 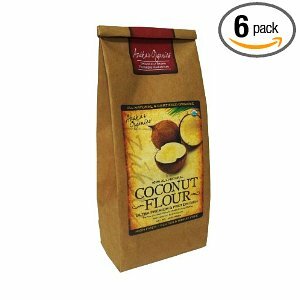 Posted in Amazon Deals, Deals & Steals Tags: Amazon Deals Comments Off on Update: Coconut Flour $2.34 per Pound! Organic Coconut Flour $2.60 per pound! Looks like this one sold out already! Don’t worry – you can get it for $2.34 here! Azukar Organics Natural and Organic Coconut Flour, 16-Ounce Bags (Pack of 6) is $15.61 or $2.60 per pound through subscribe and save. A quick search on Amazon shows Bob’s Red Mill Coconut Flour at $5.29 per pound and Tropical Traditions at $5.45 per pound. I saw this deal a couple of weeks ago. I was really excited about it but didn’t post it because there were some bad customer reviews. There were several complaints that the shipment arrived with broken packaging and the flour was everywhere. I decided I needed to try it out myself before I posted it. I am happy to report that my package arrived just fine. When I opened the box, I found there were 6 paper bags wrapped inside a plastic bag. I also found the sweet smell unique to coconut flour. I seriously love that smell. This is a product I can recommend! Of course, they sold out before I could recommend it to you last time. I don’t know how long the deal will last this time so hurry up! What will you do with your coconut flour once you receive it? Make Double Chocolate Chip Scones of course! Be sure to check out the rest of our healthy and allergy-friendly Amazon deals here. It’s no secret I love coconut milk. I cook with it. I put it in my coffee. I make smoothies with it. I am thrilled to find organic coconut milk at this price. It’s less than I was paying for non-organic coconut milk at the store. This will be great to use in Dairy-Free Caramel Dip/Sauce. 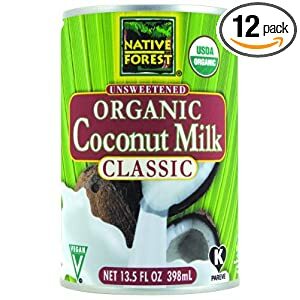 Native Forest Organic Classic Coconut Milk, 13.5-Ounce Cans (Pack of 12) is $21.11 through Subscribe and Save (see notes below). That’s $1.76 per can! 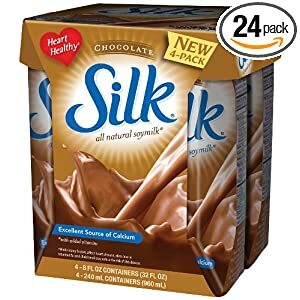 If you drink soy milk, check out this deal on Silk Chocolate Soymilk Natural, 8-Ounce Aseptic Cartons (Pack of 24) for $17.57! That’s $.73 per carton! Amazon: 50 Packets Stevita Supreme for $2.45/box! 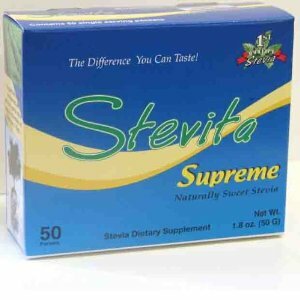 Stevita Supreme – 50pkts – 1.8 oz / Packet is currently listed on Amazon at $2.45 per box! I have been using this stuff in my coffee and tea for a year or two. This zero calorie sweetener is a combination of stevia and xylitol. Stevia is known to have a bitter after taste but not so in this brand. For $2.45 you might as well try it! While you are at Amazon, pick up some organic coconut oil for $0.32 per ounce, Lucy’s cookies and the rest of the latest allergy-friendly deals. Have you tried this brand before? What do you use in your coffee and tea? Posted in Amazon Deals, Deals & Steals Tags: Amazon Deals, Deals and Steals Comments Off on Amazon: 50 Packets Stevita Supreme for $2.45/box! 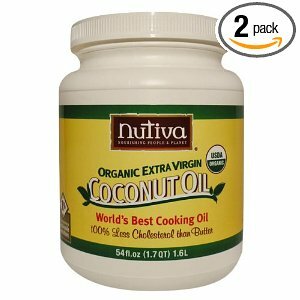 Currently, Nutiva Organic Extra Virgin Coconut Oil, 54-Ounce Containers (Pack of 2) is $34.75 through subscribe and save. This is a great deal! We use this coconut oil in homemade granola, waffles and coconut fudge (recipe coming soon). We even use this oil as a lotion! It smells and tastes like coconut so if you don’t like the sent and taste of coconut you should probably pass on this deal. I love coconut! For more allergy-friendly Amazon deals click here. Here are the latest allergy-friendly deals currently available on Amazon. Please double check the Amazon ingredient list before you order and double check the label when you receive the actual product! 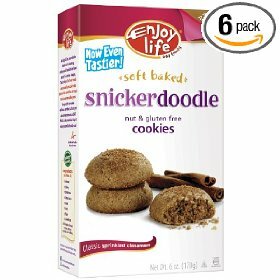 Enjoy Life Soft Baked Cookies, 6-Ounce Boxes (Pack of 6) are $15.33 or $2.55 with Subscribe and Save. * There are several varieties available. 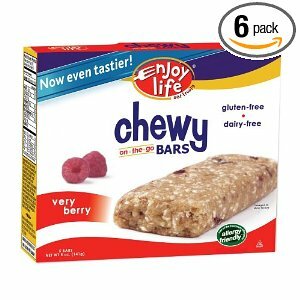 Enjoy Life Chewy On The Go Bars, Gluten, Dairy & Nut Free, 5-Ounce Boxes (Pack of 6) are $16.47 or $2.75 each through Subscribe and Save. * There are several varieties available. 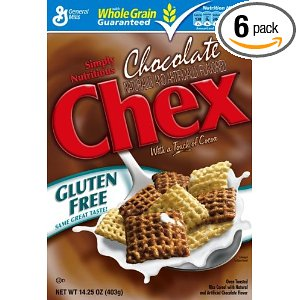 Chex Chocolate Cereal, 14.25-Ounce Box (Pack of 6) are $12.62 or $2.10 each through Subscribe and Save* and using promo code JUNEBIGG. This cereal contains soy, dairy and peanut products. 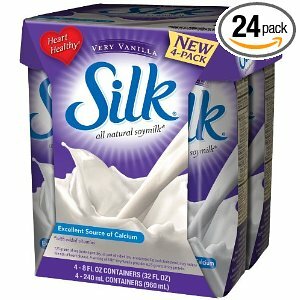 Silk Very Vanilla Soymilk Natural, 8-Ounce Aseptic Cartons (Pack of 24) are marked “Managers Special” and are $24.56 or $1.02 per 8 oz carton. Sign up for an Amazon Mom account to get free shipping. Contains soy products. Don’t forget about Lucy’s Allergy-Friendly Cookies. We tried the sugar cookies and cinnamon thins last night and they were yummy! They didn’t taste “allergy-Free” at all. Want more allergy-friendly deals and steals? Sign up for free Real Food, Allergy Free updates or become a fan of our brand new Facebook page in the side bar! Thanks $5 Dinners and Saving Naturally. Expired: Imagine Free Range Chicken Broth $2.14/Carton! 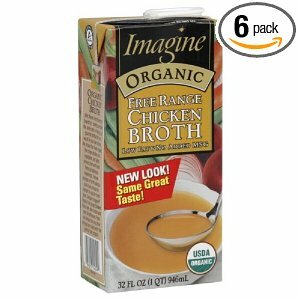 Imagine Free Range Chicken Broth, 32-Ounce (Pack of 6) is marked manager’s special at Amazon right now for $12.85. That’s $2.14 a carton! Make sure you sign up for an Amazon Mom account to get free shipping! Click here for more Amazon deals. 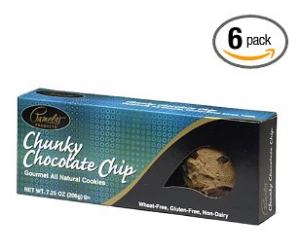 Amazon:Lucy’s Allergy-Friendly Cookies 30% Off! This month, Lucy’s Cookies are 30% off with subscribe and save and promo code! Dr. Lucy Gibney created these cookies for her daughter. They are egg, dairy, peanut, tree nut, wheat and gluten free. They do contain soy. These cookies are baked in a controlled bakery. They are made with natural ingredients and are preservative free. Click “Clip this coupon” in the center of the page to save $1. The coupon is only available for the variety pack. Select Subscribe and Save. You can cancel at any time (see notes below). Enter Promo Code DRLUCYO6 on the checkout page. 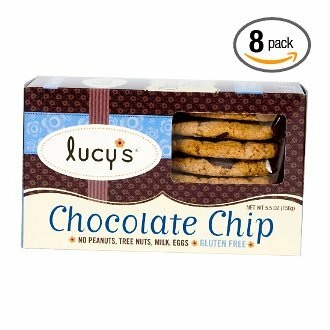 Click here for Lucy’s Chocolate Chip Cookies, 5.5-Ounce Boxes (Pack of 8 ) .